When you're trying to eat well with diabetes, carbohydrates play a major role. Empty carbs with little or no fiber, such as white bread, bagels, and pasta can make your blood sugar soar (especially when you don't keep them portion controlled). 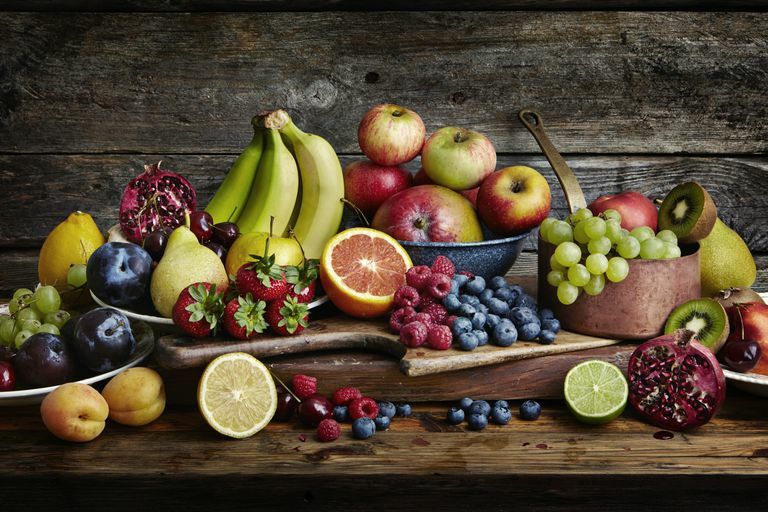 Fruit is a great source of vitamins, minerals, and fiber. But the natural sugar in fruit makes it a carbohydrate, too. Many people believe that if they have diabetes, they cannot eat fruit. This is not true. However, the amount of fruit you should eat daily and in one sitting should be portion controlled. Keeping a log or track of the carbohydrates you eat is important for regulating your blood sugar. Why Is Knowing the Amount of Carbohydrates You Eat Important? While eating a healthy diet includes incorporating lean protein, whole grains, vegetables, and fruit, people with diabetes always need to consider the amount of carbohydrates that they are eating in one sitting and in an entire day. Calories and fat grams also play a role in trying to eat healthier, but you probably don't need to count them or record them in order to get your blood sugars under control. The food choice that impacts blood sugars the most is carbohydrates. That is why we often recommend that people with diabetes try to follow some sort of consistent carbohydrate diet - meaning they eat about the same amount of carbohydrates at the same time daily. For example, if you are prescribed a diet that includes 45g of carbohydrates for dinner that means you should eat about 45g of carbohydrate for dinner daily. That doesn't mean you have to eat the same food for dinner daily, but you should try to eat the same amount of carbohydrates. Another way to find the healthiest fruit choices and their carbohydrate content is by using an online nutrition website. I researched a variety of fruit and found the calories and carbs for each. Check out the carb count on your favorite fruits, or use the handy chart below to help you make good fruit choices in your daily meal plans.